Clicking the button will give you a choice of what type of content (text, photo, video, quote or link) that you’d like to share. You can add tags, write a full post or do anything as you normally would if you want, but you’ll need to go into the Posts > All Posts menu and start from there. This feature is intended for quick, one-off postings. 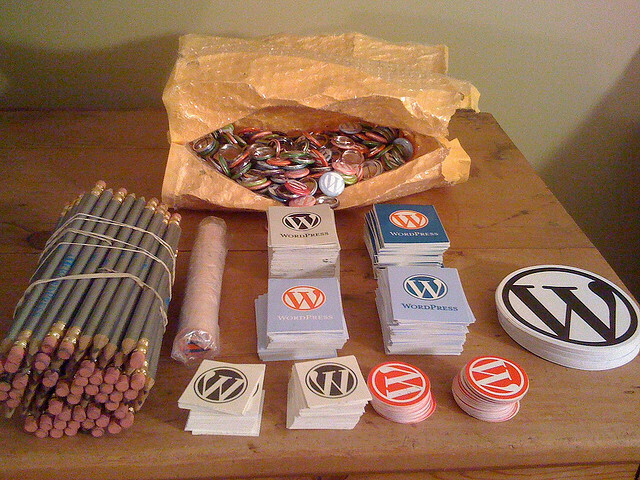 With the addition, it seems that WordPress is aiming squarely at the Tumblr market once again. You might remember back in September when the site implemented a Follow button for all hosted blogs. Of course, the “Reblog” option has been in place since 2010. With Tumblr serving over 15 billion page views each month, WordPress has its work cut out for it and adding similar features might very well be the way to keep those eyeballs coming back. It’s a neat addition to WordPress.com, and we hope that we’ll see it come out on self-hosted WordPress installations, as well. Will it be able to capture the attention of Tumblr’s addicted masses? Only time will tell.